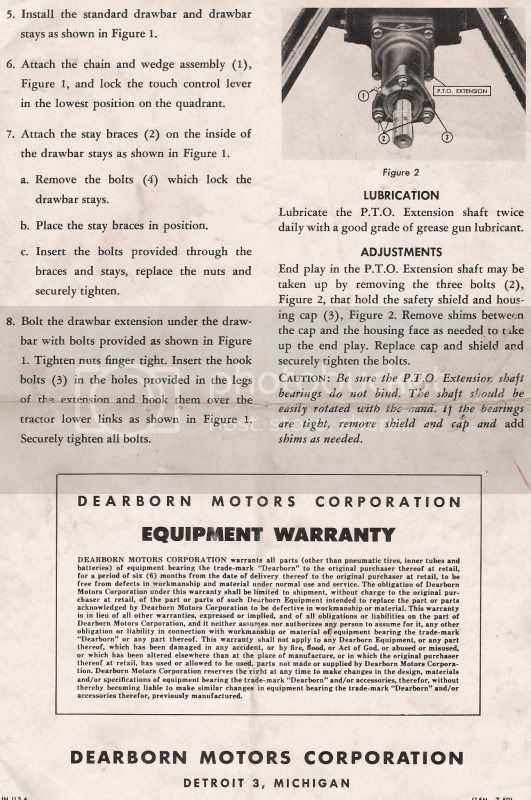 Here is a two page dealer flyer on the Dearborn Power Take-Off Conversion Kit, part number 2300010, offered as an accessory. 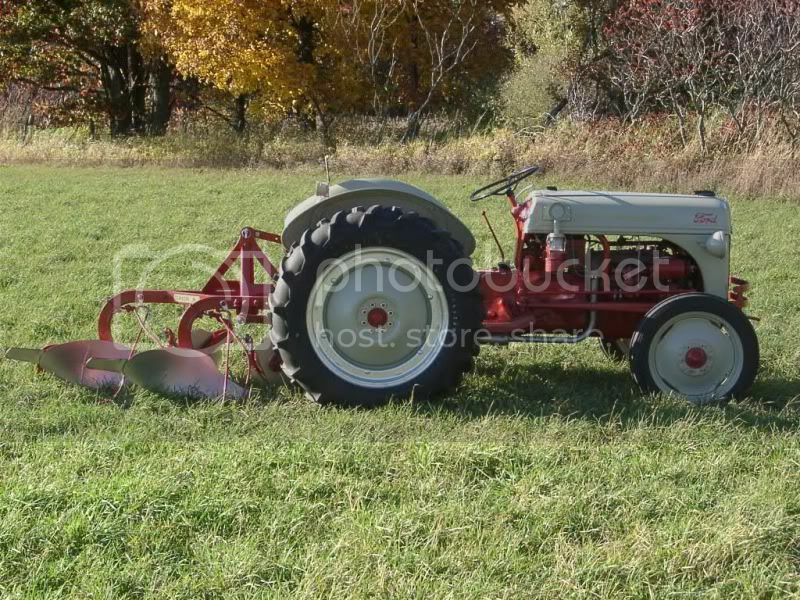 This was needed in order to attach implements like a corn picker that used the new A.S.A.E. 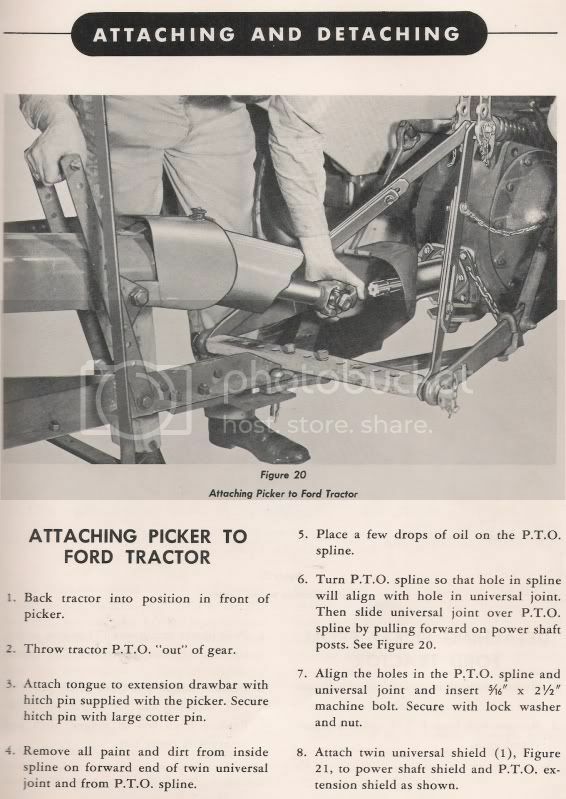 (American Society of Agricultural Engineers) 1-3/8" spline. 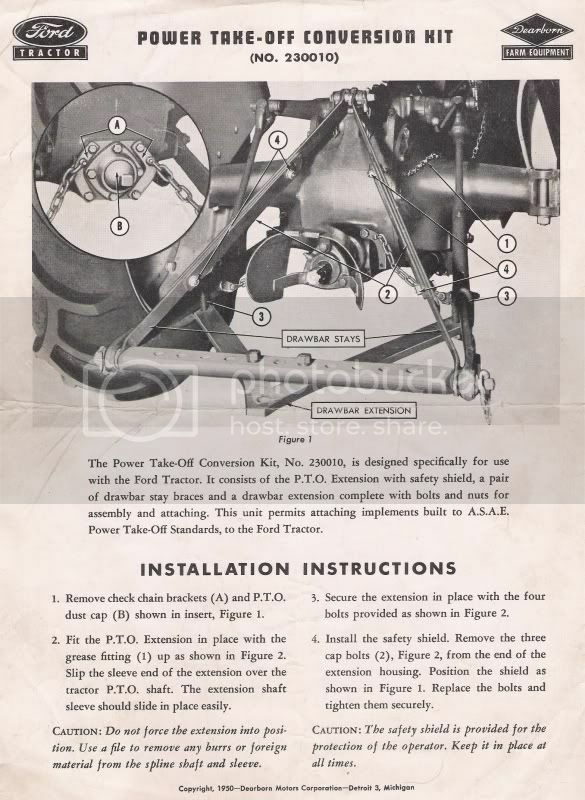 The kit included the PTO extension; drawbar stays; drawbar extension (V-Bar)and all necessary hardware for assembly. 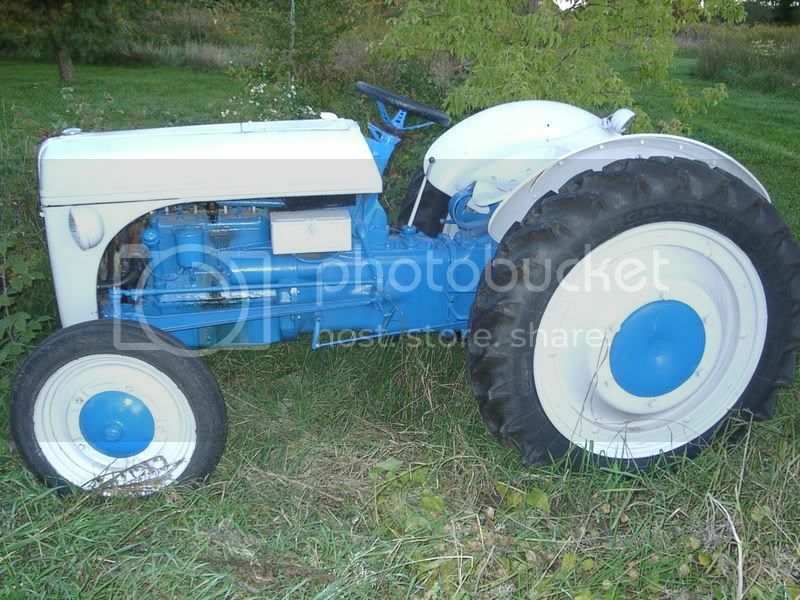 Note you need your Ford 11-hole drawbar, p/n 9N5182 that came with the tractor new in order to complete the setup.